Get a peek at the roasting process while you grab your coffee at this espresso bar/roastery that’s got an open layout, community seating, and an industrial vibe. This place may seem intimidating at first with all its talk of rare coffees, single-origin beans, and small-batch roasting, but the friendly baristas and tasty options like the bottled, hopped cold brew will have you feeling like a caffeinated expert in no time. Don’t come here looking for a vanilla latte. This small, sleek shop was opened by twin brothers Hani and Zahi Yaafouri in 2013 and is all about serving beverages that show off coffee’s true flavor. You won’t find any flavored syrups or paper filters being used, but there is a selection of additive-free options made only from coffee that’s ethically sourced and made by micro-roasters. Wanna try cupping? You will at Novo, where you can attend an educational “cupping” (aka tasting) and roastery tour where you’ll try coffee from around the world. 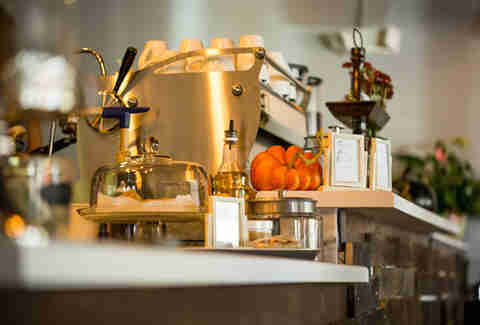 Or, head to one of Novo’s three cafe locations to sample both the straightforward selections like espresso and cappuccino, as well as more unique options like the orange zest mocha. This popular spot is guaranteed to pour you a memorable espresso, as it features a diverse selection of roasters, both local and out of state. You'll also find seriously satisfying eats -- from pastries and breakfast burritos to beet salad and a pork belly banh mi. And now you can get your Crema fix at its bodega in the The Denver Central Market. The coffee is from Boxcar Coffee Roasters, but the real draw here remains the fact that you can get a solid cup and one of Denver's best brunches (try the avocado toast). Pick from small or large plates like chai-spiced porridge or the "(Welcome to) Colorful Colorado," a salt & vinegar hash featuring Niman Ranch ham, pickled radishes, avocado, and spicy adobo sauce with poached eggs. 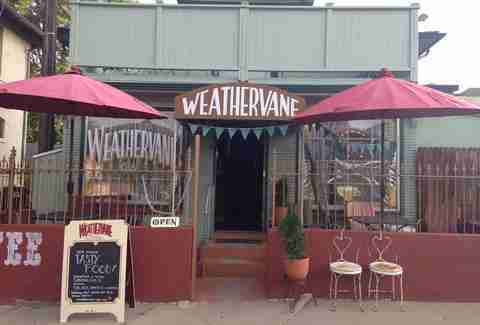 This shop, which has been roasting beans in Denver since long before the recent craft coffee craze took hold, has an extensive menu of caffeinated options as well as tasty, locally made pastries. But what really sets this neighborhood favorite apart is its roasting method -- using air roasting, it creates a smooth, never-bitter flavor, which is ideal for espresso and allows the nuances of each different variety of bean to come through beautifully. Head to the original spot on Evans or the new location on South Broadway. 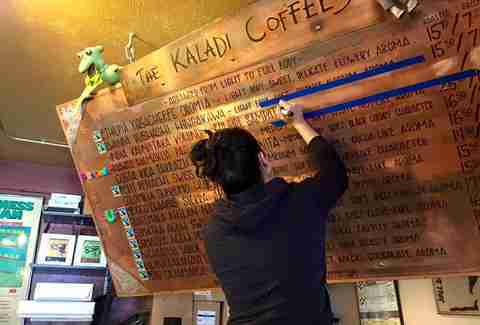 Head here for a fresh take on the coffee shop with drinks that are priced by the size, not the contents, meaning that you can go crazy customizing your cup without racking up tons of up-charges. And did we mention that you can find some of the best donuts in Denver at Habit Doughnut Dispensary right next door? Strip malls aren’t usually the first place you look for a solid craft-coffee shop, but that’s exactly what Copper Door is. After current owner Hannah Ulbrich learned to roast from Copper Door’s former owner, and then bought the business, it became the first female-only-owned roasting company in the city. Now, you can buy coffee that’s roasted to order in small batches -- or simply stop into the shop for a fresh cup. This Oregon-based roaster’s Denver location is a place where you can stop in for a quick cup or a long work session. In addition to quality coffee, they also have wide selection of unique teas along with local beer and kombucha on tap. And if you catch the muffins while they're warm out of the oven, be sure to snag one (or two... or 10). 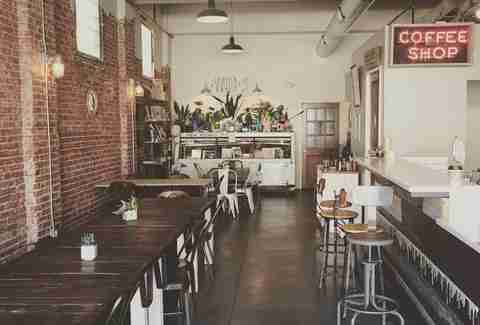 Located in (and named after) one of Denver’s lesser-known neighborhoods, this cafe is all about bringing together the community that surrounds it. A diverse crowd, local art, and a completely unpretentious ambiance make this a place that’s perfect for relaxing any day. 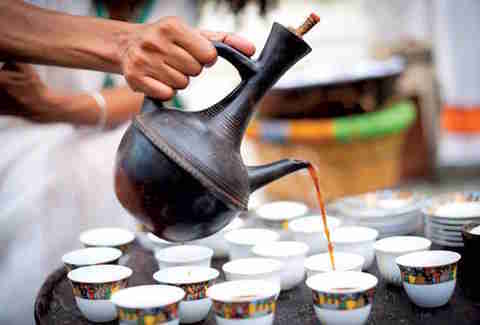 But for a truly unique experience, stop by on a Sunday afternoon to experience Ethiopian culture at this spot’s weekly Ethiopian coffee ceremony. 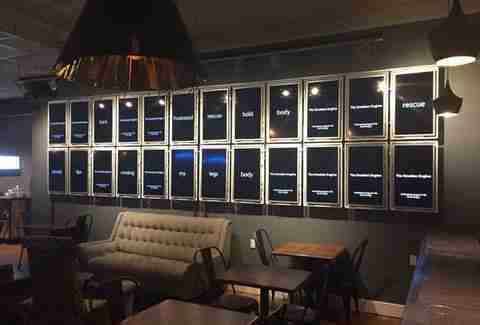 Sporting an art installation that adds to its funky vibe, TME is another one that offers more than coffee. Along with mochas, lattes, espresso, and the usual suspects made using beans from Kaladi Coffee Roasters, Molecule Effect offers other beverage options from local companies like Infinite Monkey Theorem and Strange Craft Beer Company, plus bites like breakfast sandwiches, paninis, and baked goods. 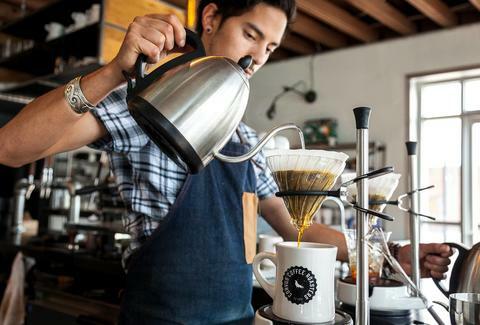 This small shop is easy to pass over, but if you do, you'll be missing out on one of the best coffee shops in America. 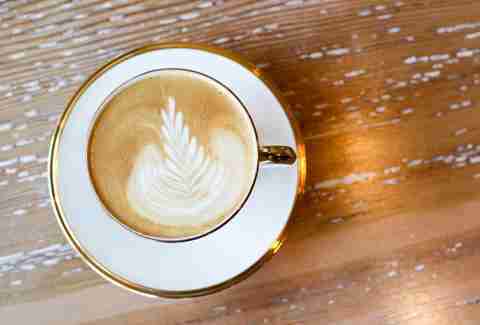 With house-made almond milk, tasty pastries (try the almond croissant) and carefully crafted beverages, Little Owl is a haven for coffee aficionados looking for as-close-as-you-can-get to an authentic Italian coffee shop experience in the Mile High. Coffee craftsmanship is the focus inside this trendy space that looks like it was made for Instagramming. 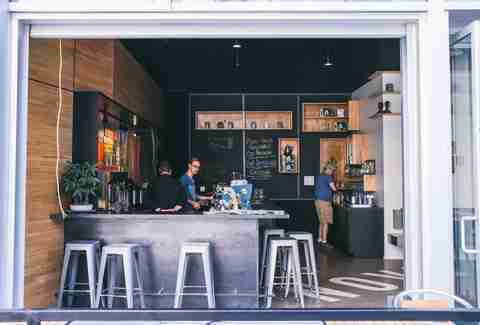 On nice days, the garage-door front of Black Eye is opened, giving the shop a spacious and welcoming feeling, and the coffee is sourced from single-origin suppliers from all around the country. While most roasters visit coffee producers to build a relationship, Sweet Bloom does things differently. They bring the producers to their roasting facility and into the shops where their coffee is served so that the whole cycle -- producer to roaster to customer -- is the focus. Though you can find Sweet Bloom coffee at other shops around town, it’s worth the trek to Lakewood to try a cup from their roasting facility. A longtime wholesaler, Coda opened a retail location in late 2015 and has been helping to keep Edgewater caffeinated ever since. 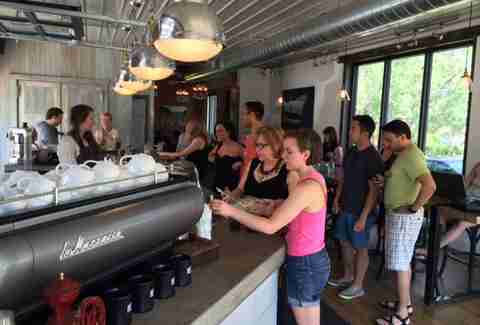 Stop by for single source coffee and enjoy it on their patio that overlooks Sloan's Lake. This spot is decked out in vintage decor and you'll find housemade syrups from hazelnut to lavender to flavor your caffeine fix. But beyond the coffee, they'll also serve a full menu of breakfast and lunch options including burritos, oatmeal, and sandwiches like their peach melt made with housemade peach chutney, onion, sage, brie, and green olives. You'll find homestyle hospitality at this two-story neighborhood favorite. It's got coffee (it uses Kaladi and Jubilee beans), tea, and house-made soda along with eats like breakfast burritos and a variety of empanadas from Maria Empanada. Got a big group? It's got you covered with a large upstairs room that's ideal for parties. 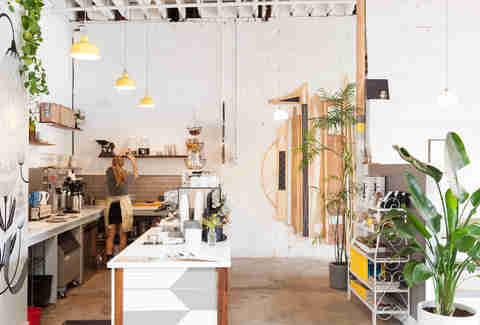 From the plants growing on the walls to the geometric designs on the bar, this coffee house has modern decor down. Come for the bright, welcoming atmosphere, stay for the craft coffee and -- bonus -- some amazing cocktails. Pair your caffeinated or boozy beverage with a cheese plate and some smoked bacon pate, and you'll likely start finding a lot more excuses to spend time here. Molly Martin is a freelance writer in Denver, Colorado who loves iced lattes. Follow her on Twitter and Instagram to see where she finds her next caffeine fix.